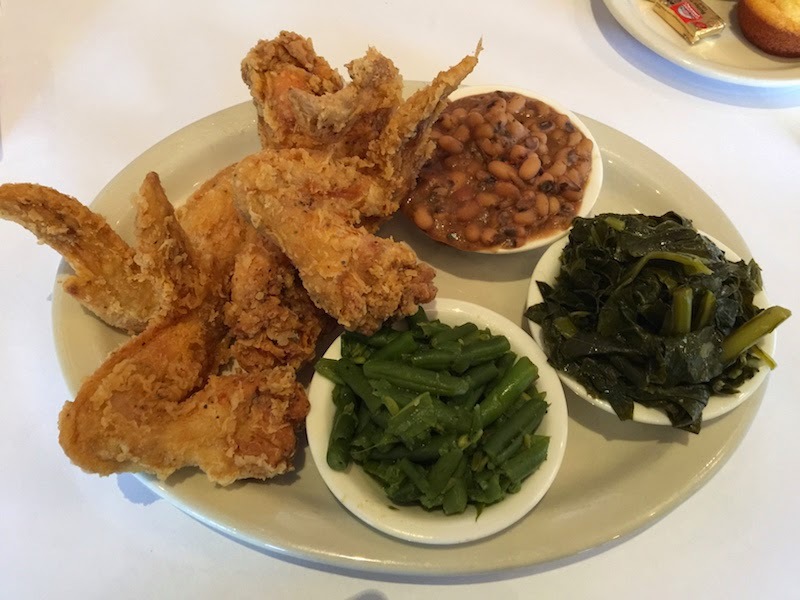 I finally got over to Oakland to try out the soul food at Souls Restaurant as seen on Check, Please! Bay Area. Read my full review with pictures after the break. Yesterday, I had lunch with my father-in-law at Souls Restaurant. I first saw Souls Restaurant in Oakland, California on an episode of Check, Please! Bay Area. 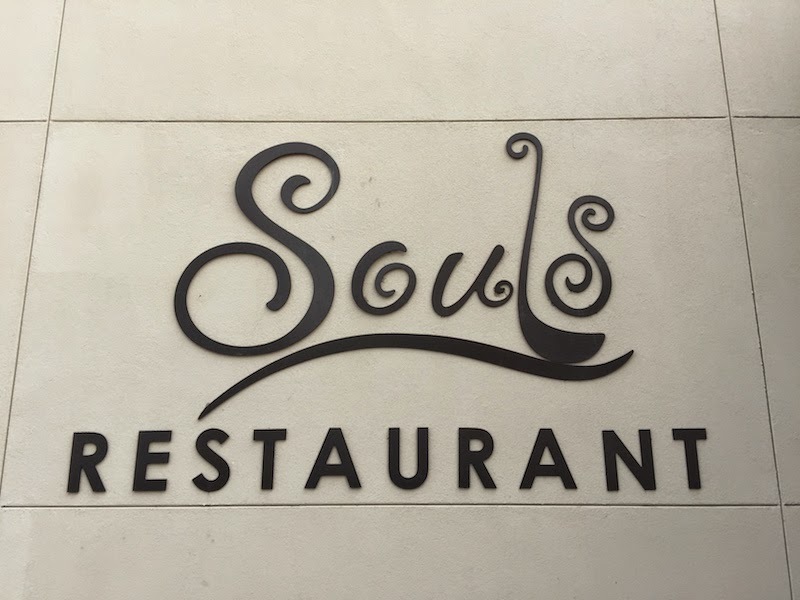 Souls Restaurant is run by the nearby Acts Full Gospel Church. 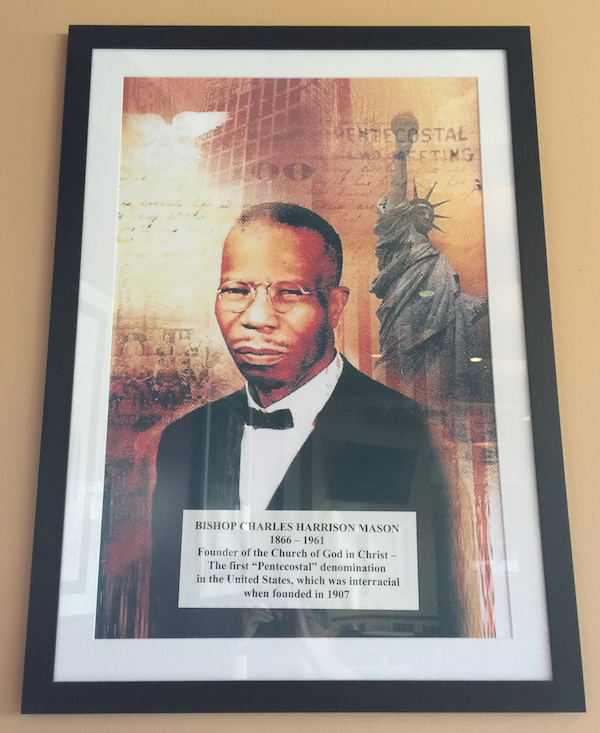 Souls Restaurant is a very nicely-decorated place with portraits of famous and important African Americans adorning the walls. 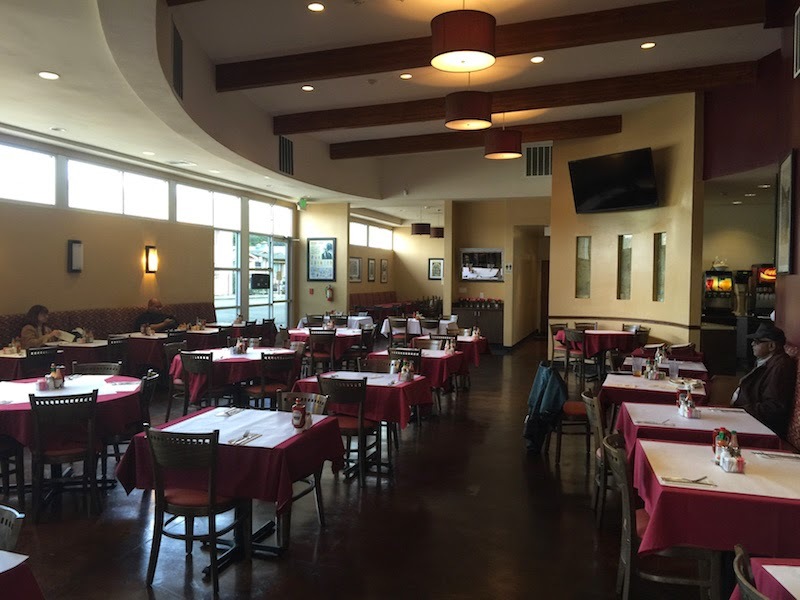 The staff could not have been any friendlier toward us. The waitress kept my glass of sweet tea full and asked us how we liked the food. She was also really helpful when we were ordering, because it was hard for us to choose from the long menu. And the manager came by several times asking how we were enjoying our meal. We really felt like regular visitors, even though this was our first time. It surely won't be the last! So what did we get? I had the fried chicken. 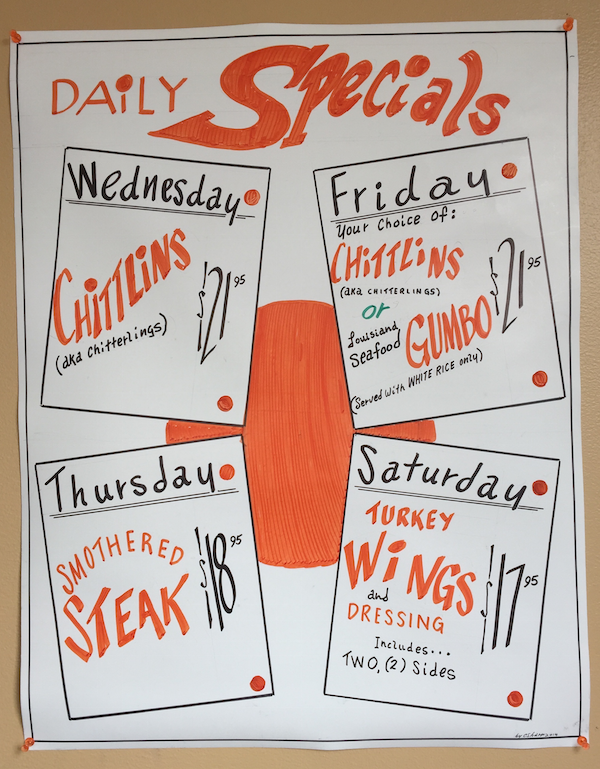 You can order three legs or breasts, or you can order four wings. I got the wings. These were the largest chicken wings I've ever seen. My father-in-law jokingly asked if I was served turkey wings by mistake. The batter was light and tasty, and it was not greasy. It was very hot and had been served right out of the fryer. My father-in-law had the fried pork chops, smothered in gravy. These were excellent. The gravy was very light and delicious. You can pick three side dishes along with your entree. We had the black eyed peas, green beans, yams, macaroni and cheese, and the collard greens. Everything was incredible. A special note about the collard greens: I nearly always order them if I find them on a menu, and nearly always am disappointed. Either they are not cooked long enough, or seasoned enough, or simply don't measure up to the home-cooked greens I have enjoyed over the years. But the greens at Souls Restaurant were almost as good as the home greens I've had, and markedly better than any I've had at any other restaurant. We were also served corn bread muffins along with our meal. Like everything else at Souls Restaurant, these were fresh and delicious. And remember, all of the fried food is cooked to order, so plan on waiting about twenty minutes for your food. There's plenty of fenced parking. On Sunday, there are two buffet brunches: breakfast from 9:00 AM until 1:00 PM, and then a dinner brunch after 2 PM until 7 PM. Since I recently ate at Dooky Chase's Restaurant in New Orleans, I want to compare it with Souls Restaurant. (Read my full review of Dooky Chase's here.) These two restaurants have a lot in common. They both serve traditional soul food: fried chicken, fried catfish, macaroni & cheese, and have many other dishes in common. They are both reasonably priced. Both are nicely decorated. And both are very community-oriented. If I had to choose which restaurant has the better food, I would have a very hard time selecting one. I might give the edge to Souls because their collard greens were so good, and that is such a rare thing to find at a restaurant. Either way, both restaurants are excellent. 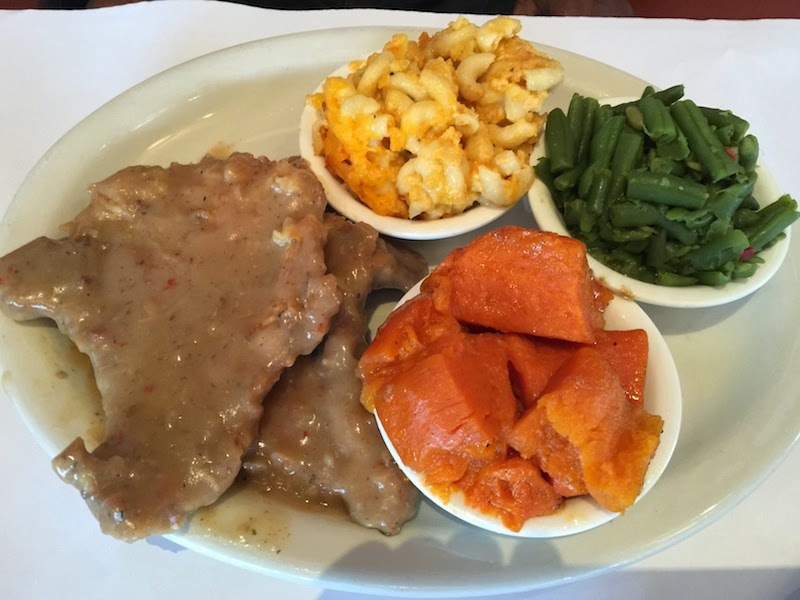 What's the best soul food you've ever had? Let me know in the comments below.